Vancouver, BC, March 27, 2019--(T-Net)--STEMCELL Technologies announced this month that the company has been selected as a winner of Canada's Best Managed Companies program for 2019. Canada's Best Managed Companies is the country's leading business awards program, recognizing excellence in the management abilities and practices of Canadian owned and managed companies with revenues over $15 million. STEMCELL Technologies is Canada's largest biotechnology company. Privately owned and headquartered in Vancouver, the company develops specialized cell culture media, cell isolation systems, accessory products, and scientific services that are used by life sciences researchers working in the cell therapy, cancer research, and regenerative medicine fields. STEMCELL provides high-quality scientific tools and services to 22 countries directly, and more than 100 countries via distributors. STEMCELL Technologies Inc is hiring. "I am thrilled that STEMCELL Technologies has been chosen to receive this prestigious award. Our goal at STEMCELL is simply to be Scientists Helping Scientists, supporting cancer researchers and other scientists around the world. That motto is embodied in how the company is managed at every level. We pride ourselves in providing meaningful, well-paid jobs with strong career trajectories for scientists and other professionals. We are also committed to keeping this expertise and intellectual property on Canadian soil, which makes this particular recognition especially meaningful." stated Dr. Allen Eaves, STEMCELL's Founder, President, and CEO. STEMCELL Technologies currently employs more than 1200 individuals, approximately 900 of whom are based in Vancouver, Canada. Over two-thirds of all employees hold bachelor level degrees, with more than one-third also holding advanced degrees, such as a PhD, MSc, MBA, Masters in Engineering or law degree. With more than 40 languages spoken across the company and a greater than 50% female workforce at all levels, STEMCELL prides itself on being an equal opportunity employer. Rooted in the belief that learning drives innovation, STEMCELL invests heavily in programming to support employee training, leadership development, communication, and engagement. Since its inception in 1993, STEMCELL's annual growth rate has been ~20% per year, with current sales of over $200 million. Focused on long-term growth, STEMCELL reinvests all profits into the company. STEMCELL's goal is to see global sales of over $1 billion and 5,000 employees by 2029. The company is well positioned to realize this growth, with hundreds of new products in its Research & Development pipeline and a strong patent and intellectual property library. "STEMCELL Technologies would like to formally thank the sponsors of the Canada's Best Managed Companies program, including Deloitte Private, CIBC, Canadian Business, Smith School of Business, and TMX, as well as the independent review committee. We are honoured to receive this recognition, and we are excited and motivated to continue to support Canadian innovation and global scientific discovery", said the company in a release. 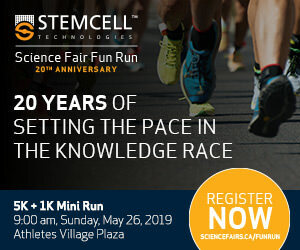 STEMCELL Technologies Inc. is a privately-owned biotechnology company based in Vancouver that helps power leading-edge life science research around the world.